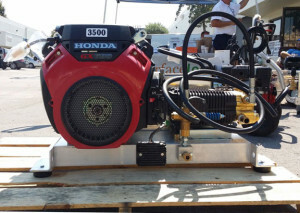 Engine Master is an authorized dealer of Honda, Kohler, Briggs & Stratton and Robin Subaru. We are also an authorized warranty center for Honda, Briggs and Stratton, and Robin Subaru. Engine Master Techs are knowledgeable, competent and courteous, and they regularly keep up with their Tech Schools. When you bring your equipment to Engine Master, we make sure your equipment leaves trouble-free. Engine Master has been family owned and operated since its establishment in 1988 by David Christian. To better support his family, David took his mechanical intuition and job experience from rental shops to his own company. For 27 years he’s built a reputation of craftsmanship and customer service, which is why many of his customers have been coming back for as long as Engine Master has been around. Today David’s legacy is continued by his son, Matthew, in partnership with Pressure Washers USA to bring you the same craftsmanship and satisfaction. © 2019 Engine Master. All rights reserved. Site by PBIF.com.